Going to Coachella Music and Arts Festival for the first time was the most an unforgettable experience for me. Aside from the amazing music, I got really inspired to write again, and can not wait to share my experience with my readers. No one tells Coachella “newbies” that they’ll have to walk for about a mile from the shuttle stop or parking on a very dusty road. On my first day of the festival I was trying to be all cool, and I honestly regretted it later. Dust mask is a must from walking from/to the shuttle. Bandana or a light scarf will is a more fashionable dust solution. I was wearing a bandana later at night when the wind picked up to prevent the dust and dry grass particles from blowing in my face. One more thing: everything and anything smoked everywhere you go, so bandana comes very handy if you are sensitive to the second hand smoke. I have talked about the importance of using mineral sunscreen in my previous posts. When you are on a festival field in the day time you have to re-apply your sun protection every few hours, which is not always easy when you are wearing make up. I chose a brush-on mineral sunscreen in powder form for my face and neck, which is very easy to re-apply. Peter Thomas Roth makes 2 versions: Oily Problem Skin Instant Mineral SPF 30 (is more translucent) and Anti Aging Instant Mineral SPF 45 (has a bronzing tint to it, perfect for people who are more tan). Brush on sunscreens blend in great with any make up, can go over your powder or foundation, or can be applied to the bare face. You don’t even need to wash your hands or to look for a mirror to dab the brush all over your face it on every couple of hours. Very convenient and effective for face, neck, and decolletage areas. $24-$27 on Amazon, totally worth every penny! Sunology Natural Body Sunscreen SPF50 kept me protected from the sun. 2oz tube fit perfectly in my purse without taking up too much space. $14.99 on Amazon, I highly recommend! 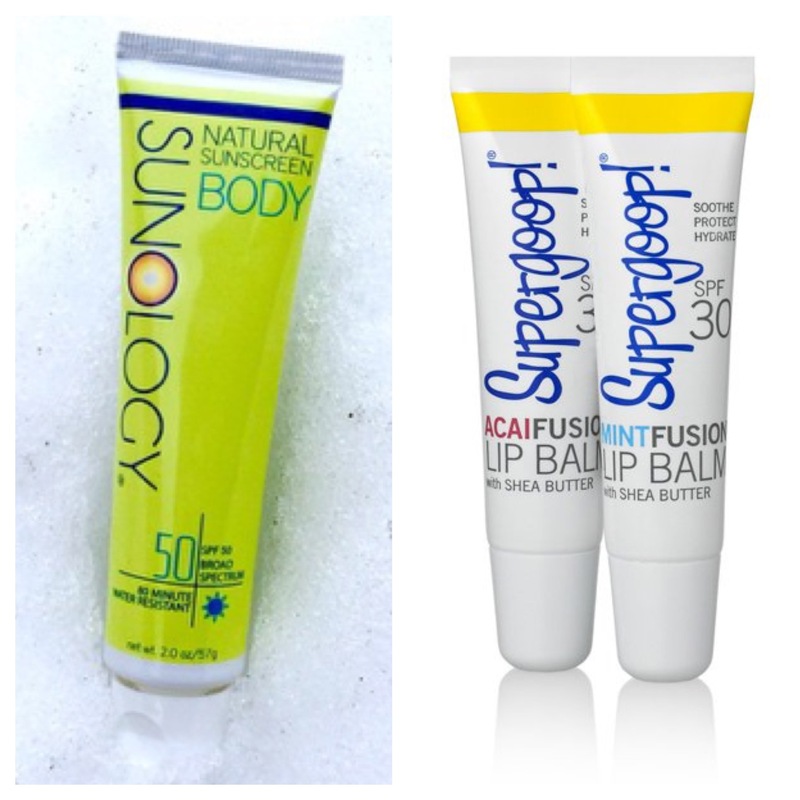 For my lip sun shield I was using Supergoop Mint Fusion Lip Balm SPF30 for the first time. I am a big fan now! $8 on Amazon, great stuff! No, it will not dissolve your sunscreen or make your make up run. It will give your thirsty skin the refreshment and the “dewey” glow. 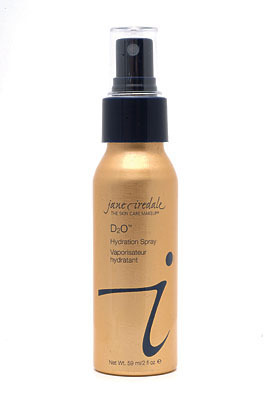 I love using Jane Iredale D20 Hydration Spray ($27). You can use any other more affordable brands, or even the rose water. Just make sure it’s organic and fits in your purse! As usual, this blog post is getting way too long, so I’ll have to split it in 2 posts and cover more products next week. Stay tuned and be sure to follow! Nice article by the IrinaBlog’s favorite beauty expert! Irina Voronina! I never knew these powder sunscreens are for reapplication. Duh! Thank you. Bummer that supergoop has chemical sunscreen. Do you know of any mineral based lip balms or glosses that don’t make your lips look like a peely white mess? And maybe lip care in general.